Chef Lino Sauro, born in the village of Gangi to a family of farmers in Sicily still calls himself a ‘traditional village boy. Having travelled around the globe alone since 15 years old, he is powered by his passion to bring Sicilian cuisine to the world. He started Gattopardo Ristorante di Mare in 2010, winning acclaim for his brand of cuisine and signature dishes, such as the Gambero Rosso (Sicilian red prawn) Ravioli and Salt-baked Sea Bass. In 2016, he further spread the Sicilian gospel with Olio, his 100-seater restaurant in Kensington Street in Sydney. 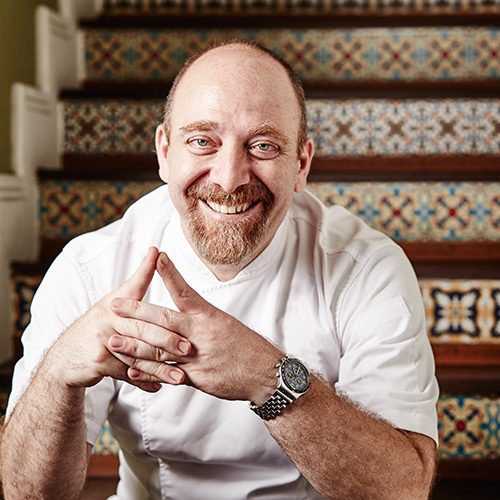 He has also been invited to share his style of Sicilian cuisine at the Taiwan, Kuala Lumpur and Ubud Food Festival.